Are we together too much? “I feel like I am disciplining my children way more often than my mother had to discipline me.” I hear this often. It may be that we, as families, are just together too much. Or, at least together way more than we were with our families growing up. Aging myself here, I was a child in the 1970s. Summers and weekends we were outside, playing in the neighborhood, and riding bikes to the park at six years old with lots of other neighborhood kids. There were long days when my mom would say, just after breakfast, “go find someone to play with,” which meant, “go knock on neighbors doors until you find something to do.” We’d be out until lunch and then often out again until dinner. When I was inside, my mother was often busy with cleaning house, cooking or grad school. She was rarely playing with me. I am not saying to put your kids outside for the day after breakfast, and let them fend for themselves at 6 years old. I get it doesn’t work that way anymore. If your kid were out there, they’d be out there alone and likely CPS would take issue. And, it’s good to play with your kids. I am saying our kids are underfoot, they are indoors and often stuck with siblings for much longer stretches. They have constant supervision until much later ages. This shift means more discipline and more sibling conflicts. It means more pressure to provide structured activities and classes. It means arranging more playdates. Encourage independent play – By three years old, a child should be able to occupy their own time for about 20 minutes. By five years old maybe 45 minutes to an hour. If your child isn’t able to do this, they may need more practice. During the summers in preschool and elementary school, my girls had 30 minutes each day to go to any room in the house to play alone. Some days one was the playroom the other in the living room, other days each others’ bedrooms. It wasn’t that they were in trouble, it was a time for everyone to have a bit of space. For older children, this might be having an independent reading time each day in the summer. Here is a blog post with lots of helpful ideas to encourage independent play. Think downtime daily – Downtime is truly unstructured and relaxed time. This can be when they are busy with independent play. It can be time playing with siblings or time to just look out the window or hang out with the dog. It’s not time on screens and it’s not time directed by you. The American Academy of Pediatrics (AAP) would like children to have at least an hour of downtime a day at three through ten years old. Have more long term projects – To encourage downtime and independent play as children are a little older, it may be helpful to have a few long term projects available. This might be a large jigsaw puzzle on the dining room table, model kits, building sets they are allowed to leave out, latch hook rugs or big fuzzy posters to color. Get them outside often – There is so much more space outside. The playground, the park, a walk in the neighborhood, the field behind your house, county parks, the woods. I get you are going to trail along at least for a while. There is so much benefit to spending time outside and in nature. A good parenting book is Last Child in the Woods by Louv. Take them to the playground and plan to sit on a bench for some of the time – Once they are able to manage the playground equipment, it is fine to take stretches to sit on a bench and watch from a distance rather than follow them around the playground. Yes, it’s good to play with them, but it’s also good to give them some space. The backyard – When they are young, this might be sitting out in the backyard with a good book while they play nearby. As they are older and you feel comfortable, this is letting them outside on their own. Plan playdates then strive for less supervision – So this one may backfire. Invite a friend over and you may need to supervise more. The hope is you find a few friends who get along very well with your child for one-on-one playdates and schedule them more often. Here is a blog post all about playdates. Give them a chance to work things out on their own – When children have conflicts with friends at any age, it is good to let them try to work it out. Even toddlers might surprise you with their ability to give a turn or help another child. It’s helpful to keep an eye on things, and if it starts to go south, you can intervene. Under three years old you are likely making the decisions and walking them through ways to solve. As they get older, it’s helpful to gradually do less. This might be helping them brainstorm solutions or giving a few suggestions. The goal is to support them learning to work it out on their own and they can’t do that if you continue to solve things for them. Give them some room. Give siblings a break from each other – This might be the daily play times listed above. You could have each invite a playdate over and then play with their friends on separate levels of the house. It might be having individual outings with each parent regularly. You might have them work on homework in separate rooms. Give privacy when they ask – At some point, most children close the door when they use the bathroom or sleep, and ask that they bathe separate from siblings. The idea is to plan to give them privacy when they ask for it. As long as you feel they are safe and old enough, step out. Their bedroom is their space in the house – This includes letting them pick the paint and the decoration as young as you can tolerate. As they are in middle school or high school, this might be letting them keep their room how they’d like to keep it. You can insist on a deep clean once a month, and in between maybe just close the door. Good to have some boundaries for your own privacy – When they are little, privacy is often unheard of, they follow you in the bathroom and basically sit on top of you on the couch. It is fine to teach them about personal space and request it as needed. Still set smart limits on screen time – I get that handing them a screen, your phone or a tablet is an easy way to buy you some time, but it comes at a cost. If you do this often or for long stretches, their time on screens may skyrocket. Here is a link to four articles that outline the current screen time limits offered by the AAP. Have hobbies and other interests – It’s healthy for everyone in the family to have outside interests. If you’ve lost your time for that, finding it again will give everyone a bit of space. I made this list when we stayed home for yet another Spring Break, and thought it would be equally helpful to share at the start of summer! There are so many great things to do in the Northern Virginia area. DownRiver Canoe Company in Bentonville https://www.downriver.com/. National Harbor Ferris Wheel and Waterfront Activities or Tidal Basin Paddle Boats – For waterfront fun! Sandy Point State Park (beach on the Chesapeake Bay)- A small family friendly beach on the bay. Trampoline Parks – Flight in Springfield, or Rebounderz in Chantilly. Playgrounds- There’s really too many to list here. 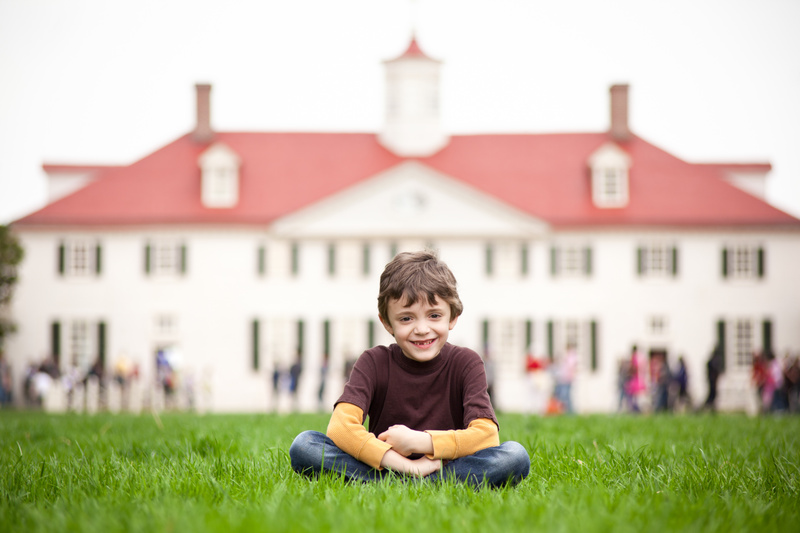 This is a link to Northern Virginia Magazine’s list: http://www.northernvirginiamag.com/game-plan/2013/07/05/playgrounds-for-the-kiddos/. Here’s a second extensive list from Our-Kids https://www.our-kids.com/sports-recreation/playgrounds. So often when I write about siblings, it’s about how to best manage the bickering and the fighting or how to get them to stop grabbing toys from each other. Happily, this post is about ways to encourage their relationships! 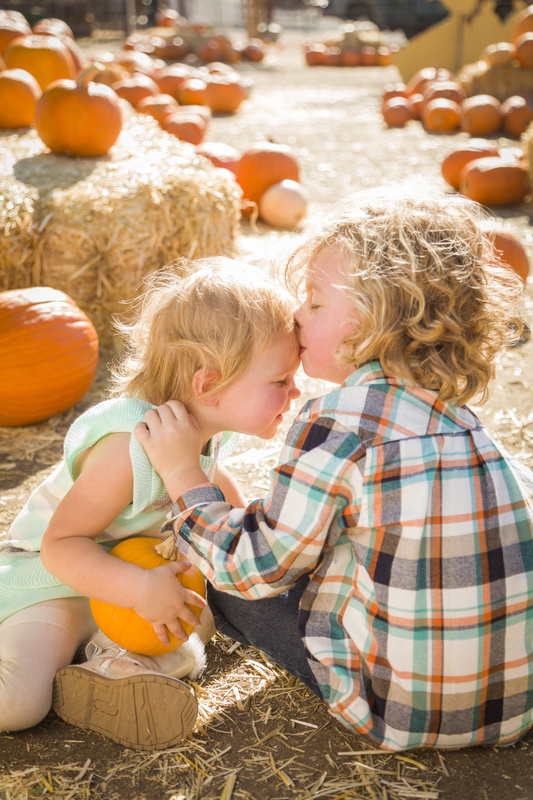 Teach social skills in general – If your children have difficulty taking turns or grabbing toys from each other, avoid putting pressure on their individual relationship by saying things like, “you need to take turns with your brother.” Rather teach them about turn taking in general and let the skill trickle down to their relationship. Keep your language on the behavior, “when you want a turn, you need to ask first.” For creative ways to teach social skill, read https://parentingbydrrene.com/2014/08/15/12-ways-to-coach-good-behaviors/. Encourage listening to others – If your children have difficulty listening to each other, it can be helpful to reinforce their words to each other. This would be saying “did you hear her? She said, ‘stop that!’ What does that mean to you.” or, “I heard him say that he doesn’t like being poked. That means you should stop.” For creative ways to teach listening, read https://parentingbydrrene.com/2012/02/18/teach-them-to-listen/. Coach positive ways to handle conflicts – When there is a conflict, help children to brainstorm solutions and weigh their options. Teach them to empathize with the other. Find low pressure activities they can share – If they enjoy working on puzzles together, doings arts and crafts or kicking a ball back and forth, encourage it often. Plan for time together and time apart – It’s fine to give them breaks from each other as well. It can be helpful for kids to have time during the day that they can play alone in their rooms, or have an activity that doesn’t have to be shared. Allow sleepovers – We allow sleepovers as often as they’d like. When the girls moved from toddler beds to big kids beds, we got them each a trundle so they could easily have sleepovers with each other. Encourage them to help each other and highlight when they do – In my family, we talk often about helping each other. It became a given that when someone asks for help, you help as much as you can. We highlight and appreciate when family members are helpful. Offer cooperative efforts – This can be cooking together or building pillow forts. There are cooperative effort board games like Snails Pace Race or Colorama. There are a few good idea books titled Everybody Wins by MacGregor and Cooperative Games and Sports by Orlick. Have at least one joint chore – Cooperative efforts carry over to chores as well. Across ages, it can be helpful to for children to share responsibilities. For young children, this can be helping with pet care. For older children, this can be cleaning a shared bathroom weekly. Avoid comparisions – Avoid direct comparisons, “why can’t you be more like your sister?” and indirect, “your sister is always on time!” Comparisons are a seed of sibling rivalry. For other hints about rivalry, read https://parentingbydrrene.com/2014/05/15/a-few-hints-to-avoid-sibling-rivalry/. There’s also a great parenting book titled Siblings Without Rivalry by Faber and Mazlish. Make a sibling photo album – It’s nice for kids to have their own photo albums as well as a shared sibling album. This one is tough as it’s hard enough to keep family photos organized, but it’s worth the effort. Tell stories about their good times – It can be helpful to remind them of their good times often. We tell a lot of stories about how Alicen welcomed Claire home from the hospital, and funny stories from when they were in preschool and early grade school. Model and speak positively about your own sibling relationships – When you speak about your own siblings, either growing up together or getting along now, you are modeling how to speak and feel about siblings. Yes, some conflict is normal in life, and it’s fine to share but avoid being negative, name calling and complaining. Use positive discipline – Positive discipline models giving empathy and positive intent to others. It gives children examples of how to best work through conflicts. To read more about positive discipline, read https://parentingbydrrene.com/?s=steps. You can also listen to our online audio workshops at http://parentingplaygroups.com/MemberResources/index.php/welcome/. Join me for an in-depth discussion of Birth Order and Sibling Rivalry on Sept. 9 from 7:00-9:00pm. For more information and to register, please visit http://www.eventbrite.com/o/parenting-by-dr-rene-parenting-playgroups-283710166?s=1328924. Want Kids to Play with Their Toys? There are so many toys and activities in the house, and the kids are complaining they are bored. You have to get dinner ready and want them to play with toys, but they are under-foot. They finally find something to play with, and it lasts 6 minutes (you were banking on 20). Introduce and then occasionally play with them WITH their toys – When they get a new toy, it can be helpful to play with them with it. Help arrange furniture in the dollhouse or build a lego structure next to theirs. The more you can get down on the floor with them and play, really engage and play, the better. Through playing with them, you are showing them new ways to use the toys and ways to interact. Through your attention you are letting them know the play itself is valuable. Have a stash of toys you can start with them, and they can continue on their own – If your child is good at puzzles, set aside a few that you can start with them and then make trips away. If they love to color, sit to color a page and then take regular breaks while they continue to color. 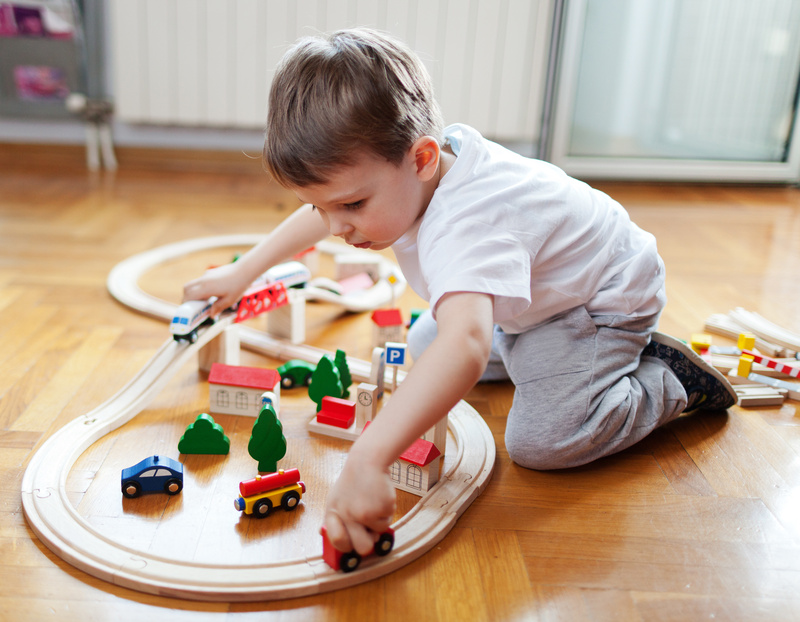 Focus on open-ended toys – Open ended toys are toys that can be used in a wide variety of ways and are often simple. There isn’t a right or wrong way to use open-ended toys. This includes blocks, balls, lincoln logs, bowls, legos, boxes and dress-up clothes. Buy the low-tech toys that “do nothing” – If you are buying a new doll, opt for the one that does nothing. If you buy the one that grows long hair or the one that speaks Spanish, that dictates to the child how to use the doll. It narrows the play. If you are buying a dollhouse, opt for the one that is quiet. If you buy the one that has a doorbell, tv sounds and barking dogs, it lessens creativity. Think multi-age – This means to look for toys like dress-up clothes, art supplies or building blocks that children can use when they are three years old and when they are seven years old. Provide accessories – If your children like to play dress-up, add shoes, hats and bags. If it’s the kitchen set, give lots of pots and pans, place settings and food. Organize the toys with all their accessories – It is helpful to their play if all of a toys parts are stored together. When they go to play farm, it’s best for all the animals, tractors and people to be right there. Organize the space, so the toys are within reach – To play with toys, children need to have open access to them. Choose low shelves and clear bins. Give them regular practice at independent play – It is good for kids to have real downtime (not screens), and it’s even good for them to get bored. Every day, children should have time to themselves. If your child is not good at independent play, they need more practice. Encourage them or challenge them to keep at it – It is helpful to give an encouraging word such as, “wow, look how tall that tower is,” or a challenge, “can you build it faster this time?” to keep the play going. Limit screentime – The more they are on screens, the less they are playing with toys. My, just turned three years old, son knows his alphabet, colors, shapes and dinosaurs. He is beginning to spell and can manage 48 piece puzzles by himself. He is very interested in learning and listens intently and soaks information up like a sponge when interested. My concerns are when he has to do things for himself such as turning a doorknob, getting dressed or playing independently. In these situations, he always fights it. He resists and exaggerates his attempts. Sometimes he doesn’t even try, he will just lay down and say he is “resting” until I am able to help him. I try to give him more play time alone, but he has a hard time occupying himself. How do I encourage his independence in situations he isn’t interested in? There really are two issues here. The first is learning to play independently. The second is learning to do for yourself and being able to move forward taking on greater responsibilities rather than continuing to rely on others to do so for him. To build independent play skills there needs to be adequate downtime. Downtime is truely unstructured, go play time. This may be indoors or out, alone or with you and any siblings available. The idea, though, of downtime is you are not organizing for the child, you are not providing entertainment. The child is left time to entertain themselves. They can also be unproductive if they choose. Real downtime means they can watch the clouds or play with dripping water at a sink if that’s what occupies them. To get good at this, most children just need more practice. This means, stop entertaining them. A little boredom here is a good thing as it prompts play. To encourage independent play, you might also give them things to do that are like or nearby what you are doing. Meaning if you are cooking, give them pots, pans and spoons with a bit of water. If you are on the computer, give them a leap-pad on the corner of the desk, so they can do their work beside you. You might also give them things you start together such as a big puzzle. Sit together for the first few pieces, and then make trips away. Encouraging a child to take ownership and increasing responsibility for life tasks is a harder thing. I think the first thing to do is focus on teaching them to do for themselves. If they struggle with parts of getting dressed, which may sink the entire effort, sit and practice that piece. Give them ample practice when you are there to help. Once you know they are capable, move back and give them space to work through. This may mean you are out of the room to avoid doing for them. Think of each challenge as opportunity for them to master the task and to at least learn from the experience. When they are frustrated, give hints and suggestions to get them back on track. Avoid doing for them. Be sure to give lots of empathy for the frustration and encouragment for the task. Focus your praise on their effort and process rather than the outcome. Notice the hard work and the additional attempts, comment on the time and energy required to get it right. When available, give them opportunity for decision making. Children are much more likely to buy into doing if they are in charge of the process. Turn of the tv and computers – Screentime is anti-downtime. When children are in front of a screen, they are still being otherwise entertained. If the tv is just on the background, it’s a temptation. It can be helpful to set guidelines for screentime for the family and then really stick to it. Provide space – It may be setting up a play area with their favorite toys, a reading area with comfortable beanbags or a craft corner with supplies and a good size table. Think about the activities your child prefers and then create the space around them. Build downtime into the schedule – If you tend to overschedule, you may have to actually put this on the calendar. Block off the time they can be unproductive. Focus on true toys – It may be helpful to provide more basic, open-ended toys such as blocks, dolls, balls, craft supplies or a cardboard box. Once given, let children plan the play. Get them outside – Outside play provides trees, sticks, rocks, puddles and dirt. There’s also room for tag and throwing balls. A little boredom is good – Children who can’t entertain themselves and get bored easily when given downtime, likely just need more practice. Given space and time they will learn how to entertain themselves. Have patience, this is a good skill to develop. My two-year-old daughter is happy, friendly and affectionate around adults, but, aside from a couple of her friends who recently moved away, she just does not seem to like other children at the moment! When I tell her that we are going somewhere to see her friend(s), she tells me that she wants just her and I to go. When we are in the company of other children, she gets upset if they come anywhere near her. While her friends want to hug, hold hands or play together, my daughter doesn’t really want anything to do with them. I stay at home with her, she does not go to school yet, but we do go to classes and meet up with friends on a regular basis. I’m hoping that this a quick passing phase, but was wondering if you have any advice on how I should handle this behavior. I know it can be difficult to watch your child struggle as she learns to be social. I want to first latch on to that she is friendly and affectionate towards adults, and you mentioned her having a few friends that recently moved. These points highlight that she has the capacity for being social. That she’s even had one recognized friendship at this little age is a positive. I would try to figure out if there was something particular she liked about the friends that moved away and look for that in new playmates. While I wouldn’t force the hand holding or hugs, I would continue to give lots of opportunities for play with her same age peers. Attend playgroups or gym classes, go to the playgrounds and take group swim lessons. Continue to model being social by greeting others, inviting them to join you at activities and talking about concepts like taking turn and sharing. Occasionally, host others for play at your house so she can have practice at being social in more comfortable surroundings. Many two year olds still tend to engage in parallel play, playing near other children more than with them. By three to four years old, most of them move to more interactive play. It may be that she is simply still at parallel play. She may prefer adults as they lead play easily and offer good ideas. Adults are also more reciprocal than other two year olds with turntaking and sharing and less likely to provide conflicts. It may be helpful to try playdates with a few slightly older children in the neighborhood. When she does request to be just the two of you, agree when that was already the plan. If it wasn’t, validate her request by saying something like, “I know you want it to be just mommy, but today we are meeting Johnny and his mom at the park.” I wouldn’t ignore her request, hear her first. Then calmly let her know the plan. I would think this will be a passing phase, but it’s something to keep in mind moving forward. I am hopeful for you both that she will find same-age friends easily when a good match presents itself. You might also read Just You and Me by McBratney and talk about how the gosling wanted to be alone with the big goose, but how nice it was they shared their space with the other animals who wanted out of the rain. So, I’ve been asked many times in the last year for my thoughts about young children playing on iPads or reading on Kindles. My answers always lean towards it being better to play with toys or each other and read books rather than screens. Even when it’s just to occupy them because you need a minute, I would much rather parents hand their three-year-old a crayon and piece of paper than a phone with an open app. When it comes to early reading, my sense has been there is value in experiencing the book, in turning the pages, taking in the pictures and talking about the story. Thankfully, my favorite technology writer Lisa Guernsey has pulled together a fuller answer in her Time Ideas article titled Why EReading With Your Kid Can Impede Learning http://ideas.time.com/2011/12/20/why-ereading-with-your-kid-can-impede-learning/?xid=gonewsedit. If your pre- or early reader is already on a screen, check this out for tips on how to use it better and consider setting and enforcing time limits. Lisa Guernsey is the director of the New America Foundation’s Early Education Initiative and author of Into the Minds of Babes: How Screen Time Affects Children From Birth to Age Five. Great book!